Make Reservations for tickets TODAY! Call 479-8088 by Friday noon! Bring your friends, family, Book or Bunco Group! Located in the Diamond Rooms at Barbagallo's, we will have plenty of room for a great party! First draw gets first choice! 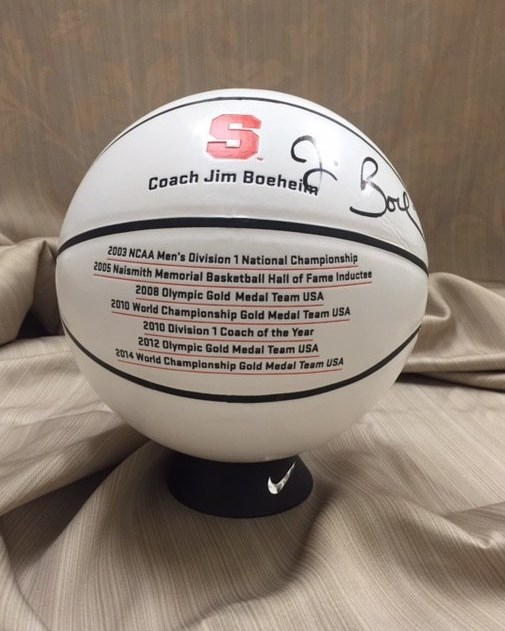 Signed Jim Boeheim Hall of Fame Basketball or a framed signed 2015/16 Team Poster. 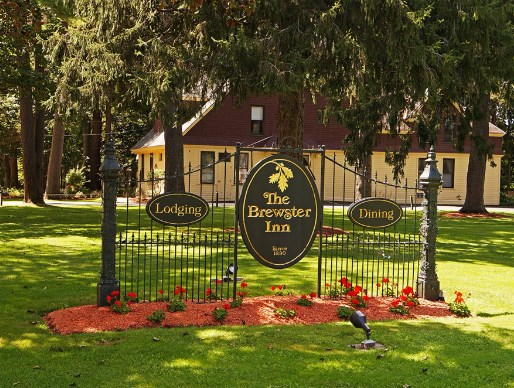 The Brewster was voted #1 Bed and Breakfast in the New Times and SU- Best Basketball team of all time!!!!! 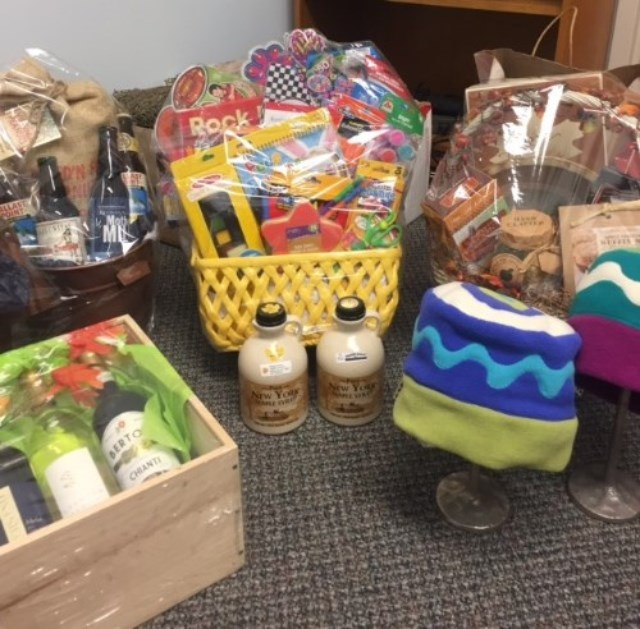 Just a sampling of our auction baskets. 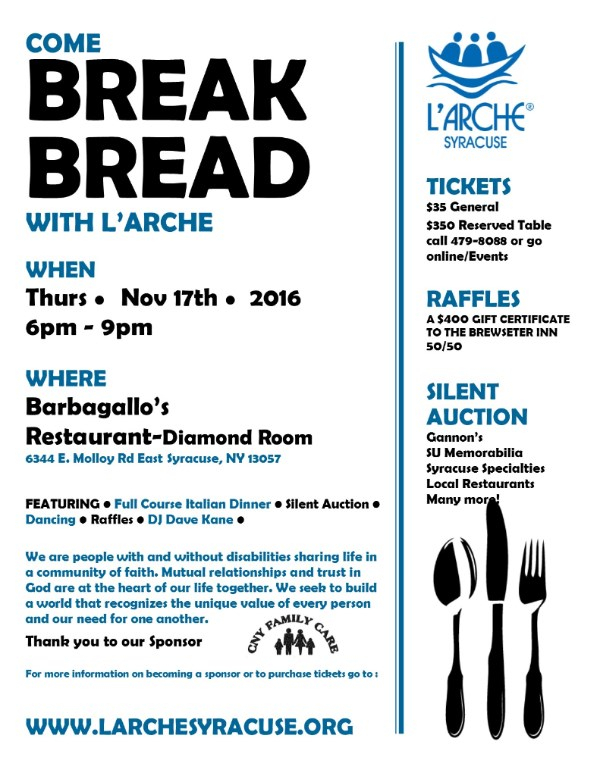 Come bid on restaurant gift cards, hotel stays, Syracuse Stage tickets, Gannon's, a month of Family Y Membership and many more! Thanks to Saranac Brewing Company for their generous donations. Can't wait to see the Adirondack chair! Or call our office at 479-8088 to reserve your seats! 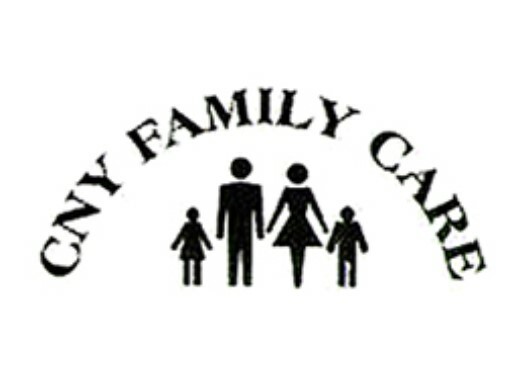 Read about our options below. We can't wait to Break Bread with you! 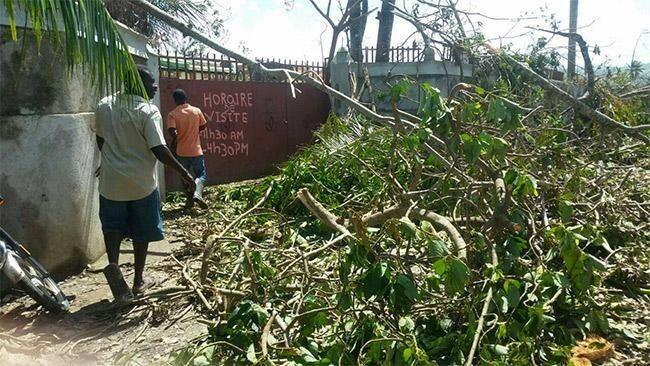 Hurricane Matthew left behind significant damage in L'Arche Chantal, Haiti. Stan, the L’Arche International Envoy and François from the community of Lyon, France, are in Haiti now, and are assessing the damage along with the people there. Thanks be to God, everyone is well. The workshop is completely destroyed. The roofs of the houses are being repaired. Food is available. Interim facilities have provided shelter. François will remain there for some time to lend a hand. We also know that the community will, soon, need to consider rebuilding or perhaps even moving. As we consider this, a reconstruction budget is being prepared. The people of L'Arche Chantal are still in shock, and they are also living a sort of repetition syndrome, as this disaster has come only 6 years after the earthquake of 2010 which seriously affected the other community in Haiti, L'Arche Carrefour. 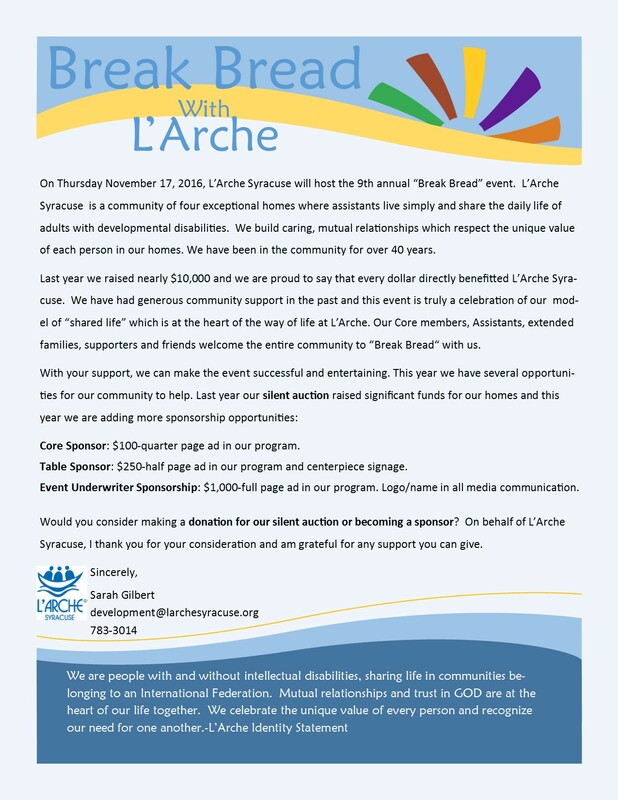 Donate through the L'Arche USA donation link to help our core members with intellectual disabilities recover from this disaster so that they might rebuild their home and return to a dignified way of life as soon as possible. Leave a message in the notes section that the donation should be directed to the Rebuild Haiti Fund. 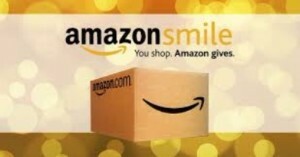 It is never too late to designate us as your Charity of Choice for AmazonSmile! 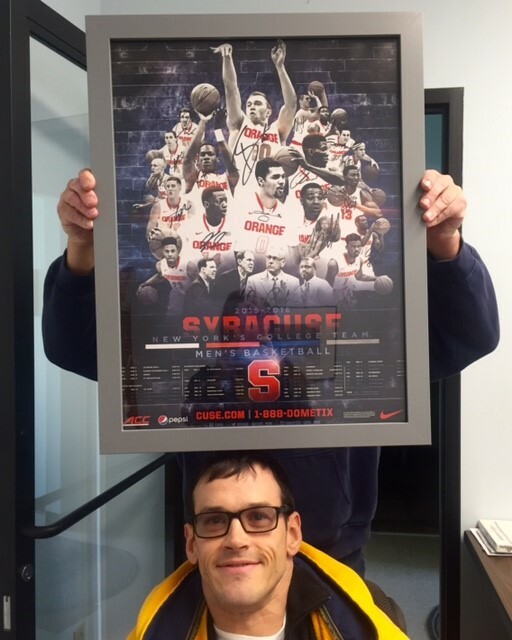 Before you shop on Amazon, designate L'Arche Syracuse as your charity. This costs you nothing, but Amazon will make a donation for each dollar you spend on Amazon. 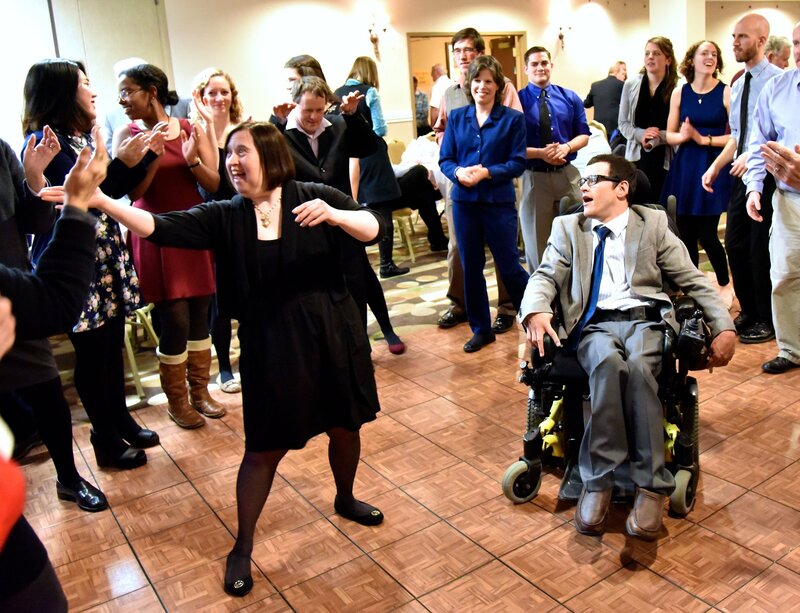 Once you designate L'Arche Syracuse as your AmazonSmile charity be sure to shop at smile.amazon.com each and every time you shop.